Today I was not in the mood at all to make dinner. 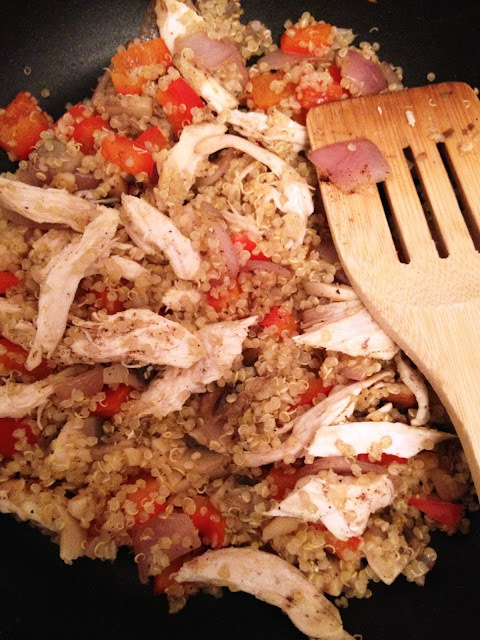 I thought about the cheapest and easiest thing to make and came up with a healthy little quinoa stir-fry. The only thing I had to purchase was a roasted chicken breast from the hot counter of Loblaws for only $3.99. It was a HUGE breast and I still have half of it leftover to use tomorrow in another recipe. I had made quinoa the night before so I also had a little over 1/2 cup in the fridge. I gathered some veggies and spices and made this meal in less than 10 minutes! Good to see you posting again! 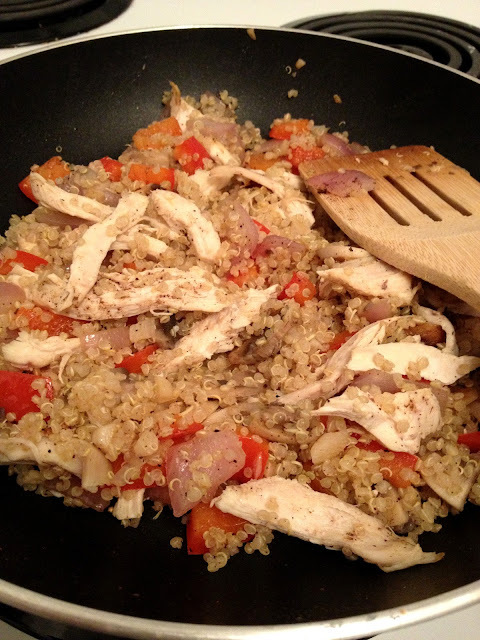 And this dish looks great - so easy, and quinoa is so healthy. Good stuff - thanks. I like that you used not only an "unconventional" grain such as quinoa for your stir-fry, but also mixed in different seasonings than the standard Asian set. This is a whole new take on the concept!